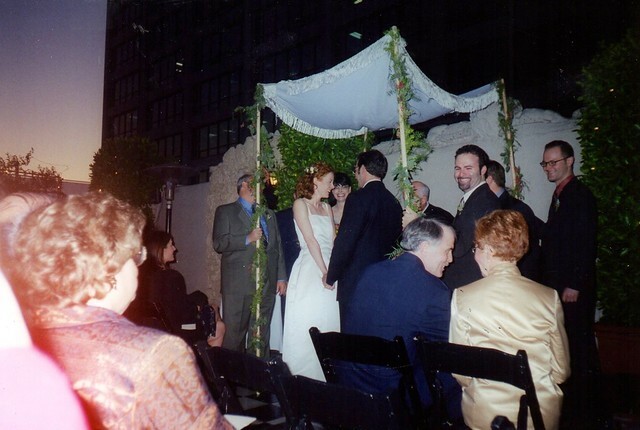 I'm not sure who took this snap at our wedding 16 years ago. but I've held onto it. I love it. the smiles. the glimpse of sunset. the way d's brother is looking at my parents. it was such a night about family. still tugs at my heart.